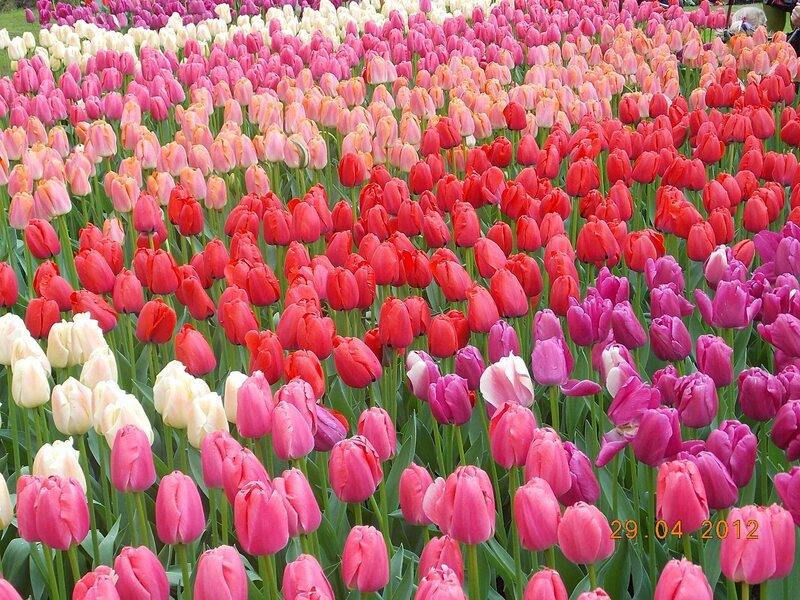 Monami Guha Das visits Keukenhof, located between Amsterdam and The Hague in the Bulb region of Southern Holland, also known as the Garden of Europe. Dispelling the darkness of the bitter, dreary and grey winter months in Europe, spring brings with it sunshine and warmth with the days growing longer and warmer. Almost overnight the bare branches are covered with tiny leaves and before you realize they are in full bloom. The varied shades of green, their freshness, the wild flowers lining the side of the lanes and streets brings a spring in every step, a smile on every face, old or young and a reason to be happy. Spring in Europe is also the season of flowers and suddenly they seem to be everywhere spreading colour all around. And if you want to celebrate and experience the spirit of spring in all its glory, there is no other place to be in than Keukenhof…a place where you see spring and feel spring. Located between Amsterdam and The Hague in the Bulb region of Southern Holland, Keukenhof, also known as the Garden of Europe is the world’s largest and most beautiful spring park. Every year for two months the park is open to public and people from all corners of the world flock to witness this stunning and unbelievable display of flowers. More than 7 million bulbs are planted every year at Keukenhof Garden which includes varieties of tulips, daffodils, hyacinths, orchids, carnations, irises, lilies, roses and plenty others! If you have not seen Keukenhof you have not seen the Netherlands. 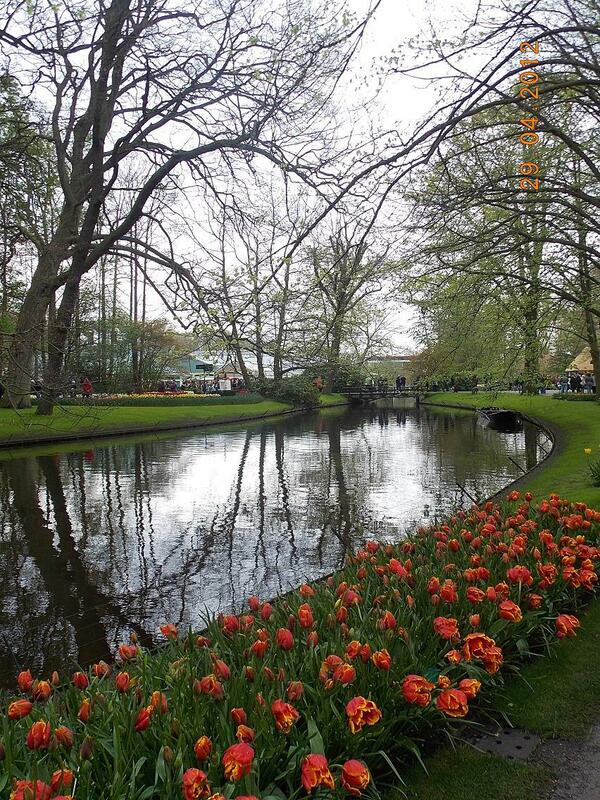 Keukenhof can be reached by taking a direct bus from either Leiden or Schiphol any time during the day. Leiden is a prominent city in the Dutch province of Southern Holland while Schiphol is the country’s airport city. We packed a picnic lunch and left for Keukenhof from Leiden after breakfast and reached in good time to have the entire day to ourselves for exploring the garden and the tulip fields surrounding it. An unforgettable experience, for the next six hours we were treated to an absolutely amazing and stunning riot of colours which took our breath away. Rows after rows of uniquely coloured flowers spread out before us, each distinct, more beautiful and more gorgeous. Their size and colour combination, the flower arrangement and display against the backdrop of the green grass and trees seemed to transport us to a fairy tale world! There wasn’t a single moment when we stopped being amazed by the exquisite beauty of the spring blossom we were treated to at every turn and corner. The obvious and constant expression was, “How can flowers be of such utterly brilliant colours! 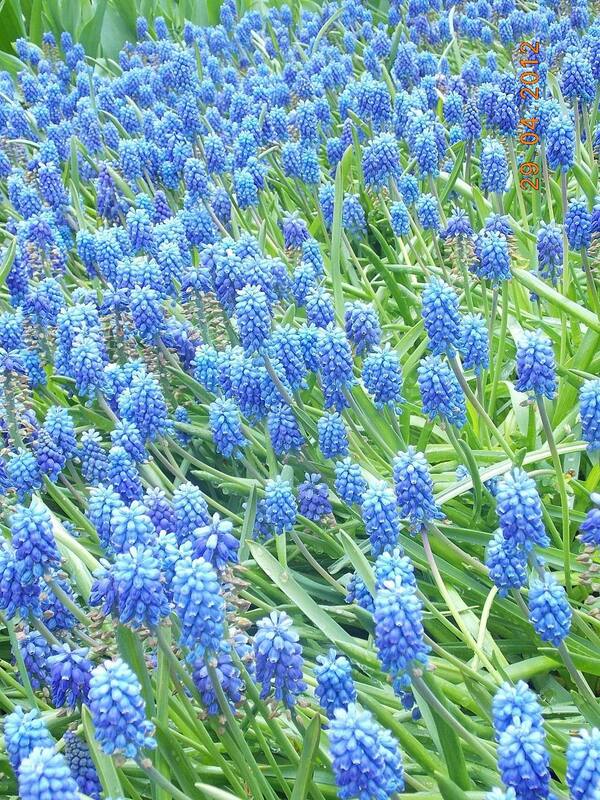 Can this be real?” An abundance of flowers and fragrance, Keukenhof is stuff dreams are made of. 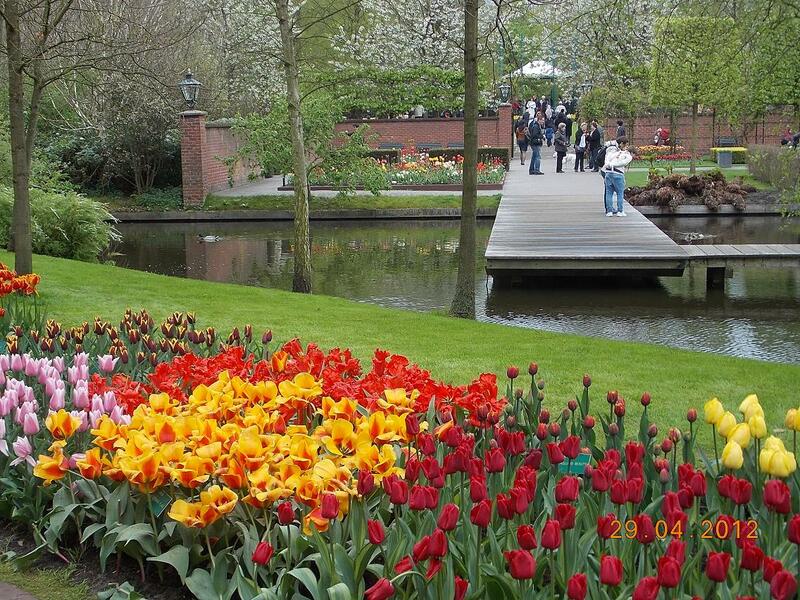 Far from bustling city life in brick and mortar, Keukenhof offers the perfect hideout for those worn out and ravaged. The sparkling stream flowing through the garden flanked by flower beds on either side, the fragrance of flowers, the freshness of green, the meticulous arrangement of flower beds created a perfectly enchanting ambience. A place where one could spend hours savouring the sheer beauty of spring! The radiance and dazzle of the colourful flowers seemed to reflect on the faces of all, old or young, wiping out all trace of care. he garden are bound to leave you tongue-tied. 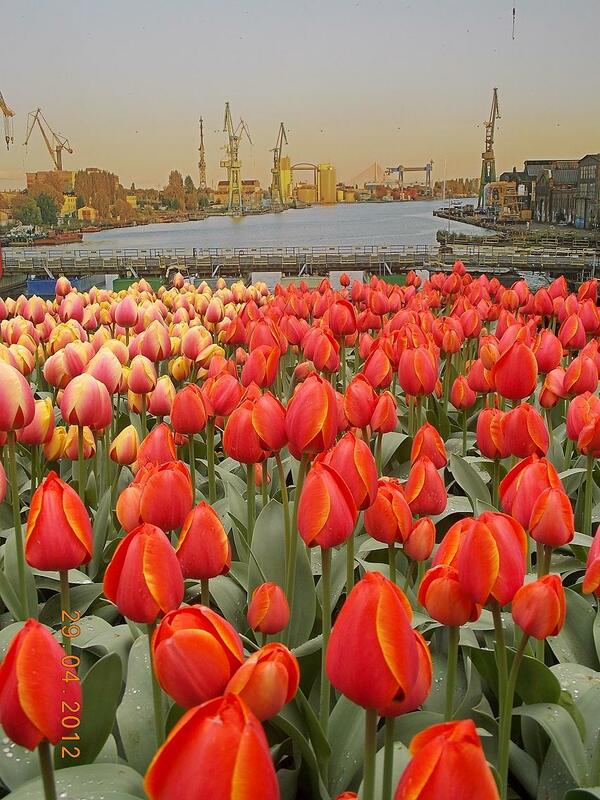 Swathed in red, yellow, orange, pink and violet blooms, the entire area is transformed into a sea of tulips, hyacinths and a variety of other flowers every year from the month of March, a treat and relief for the sore eyes. As far as your eyes take you there are only lanes and lanes of radiantly coloured flowers creating a spectacle which words fail to do justice. As we walked back from the fields, we realised that we had experienced an enhanced beauty, nurtured and nourished with love and care by all those who make this flower festival possible each year; a beauty that would have eluded us had we not made this trip. My first spring in Europe has certainly been a spring to remember and cherish for years to come.